BSP Chief and UP former chief minister Mayawati who is on a two-day stay in Andhra Pradesh to take part in campaigning for the BSP, Janasena Party and Left Party alliance has said that Pawan Kalyan will be made chief minister, if the coalition wins the upcoming Assembly elections. Addressing a press conference at Sai Priya Resorts in Visakhapatnam today along with the JSP chief Pawan Kalyan, Mayawati promised to give Special Category Status to Andhra Pradesh which both the Congress and the BJP have failed to grant so far. Exhibiting confidence that the BSP, JSP, CPI and CPI alliance would form the next government headed by Pawan Kalyan, whom she described as a young leader with passion to serve the poor and the downtrodden. 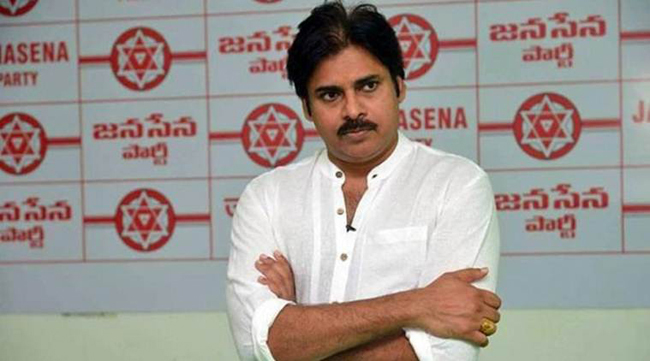 Pawan Kalyan, on the other hand, said, “Mayawati is a tall leader with proven track-record of administration and that the country needed her services as the Prime Minister.” He denied the charge that he was soft in attacking Prime Minister Narendra Modi and BJP saying he never used rude words against anyone like AP CM Chandrababu Naidu. Pawan who accorded a warm welcome to Mayawati, surprised everyone by opening the door for her when she went to meet him and even touched her feet out of respect.